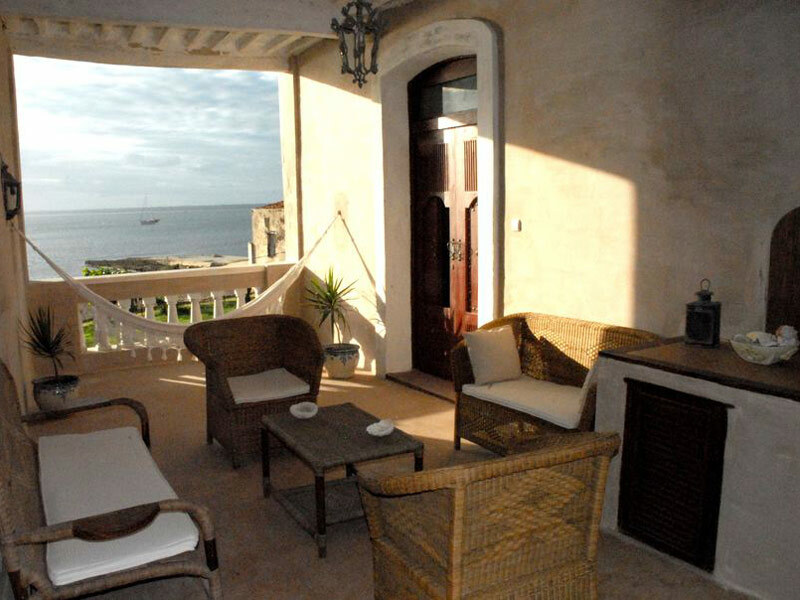 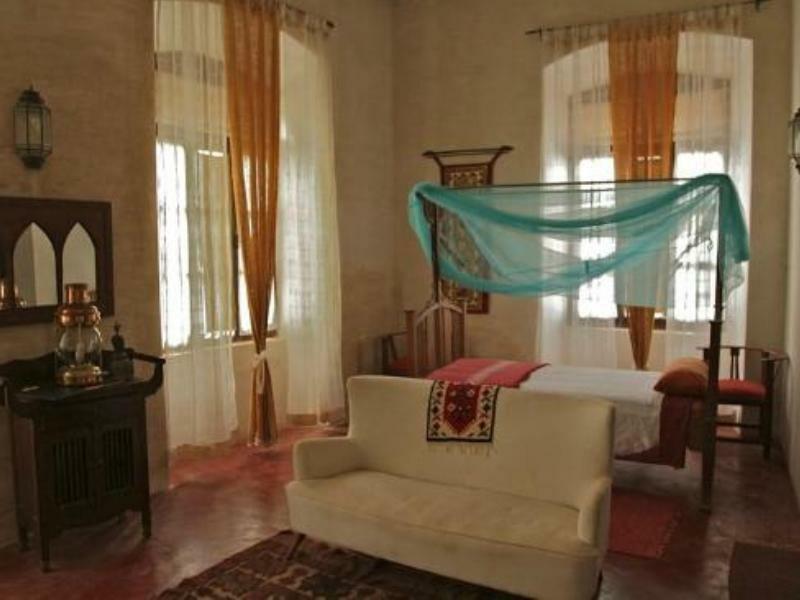 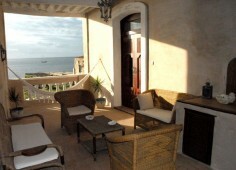 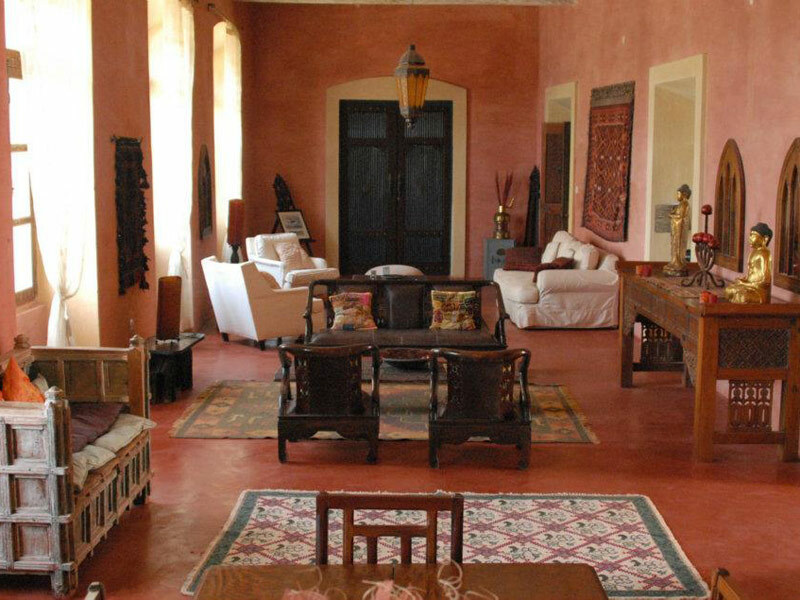 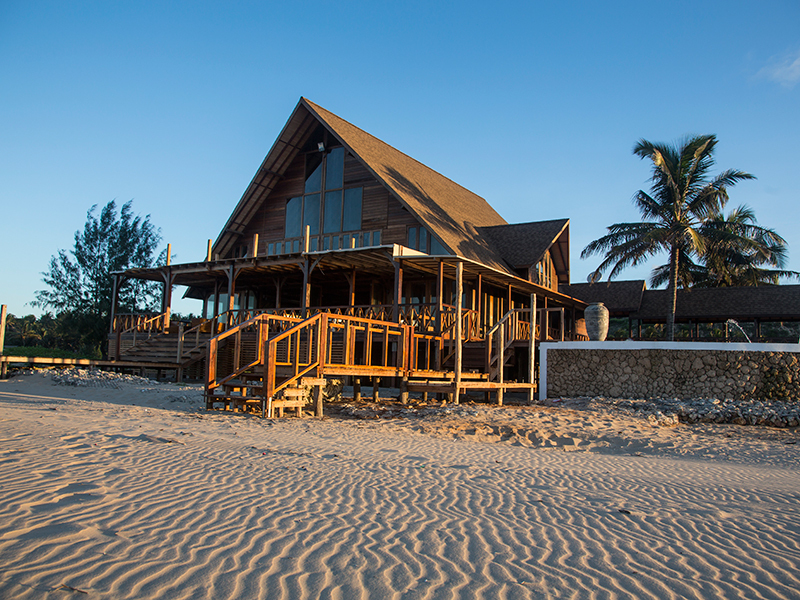 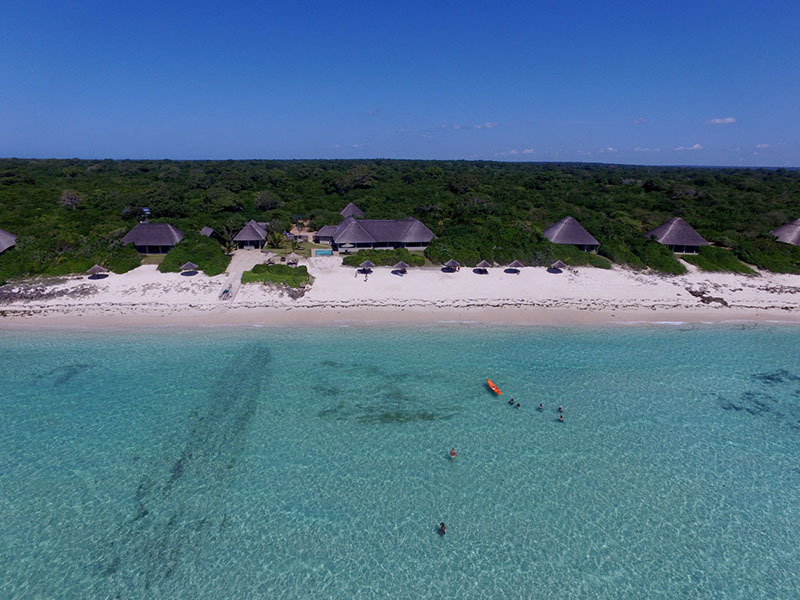 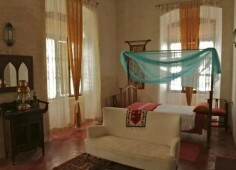 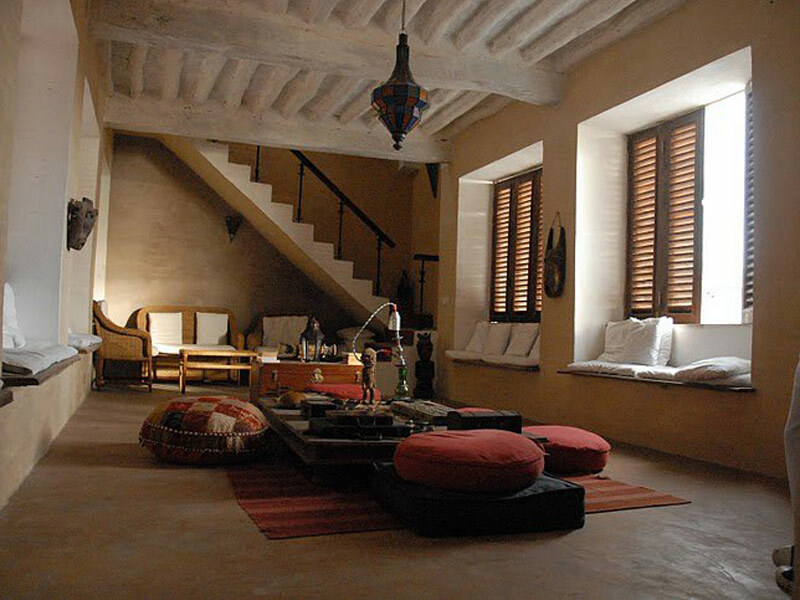 This quaint guesthouse is situated on the island of Ilha de Mozambique. 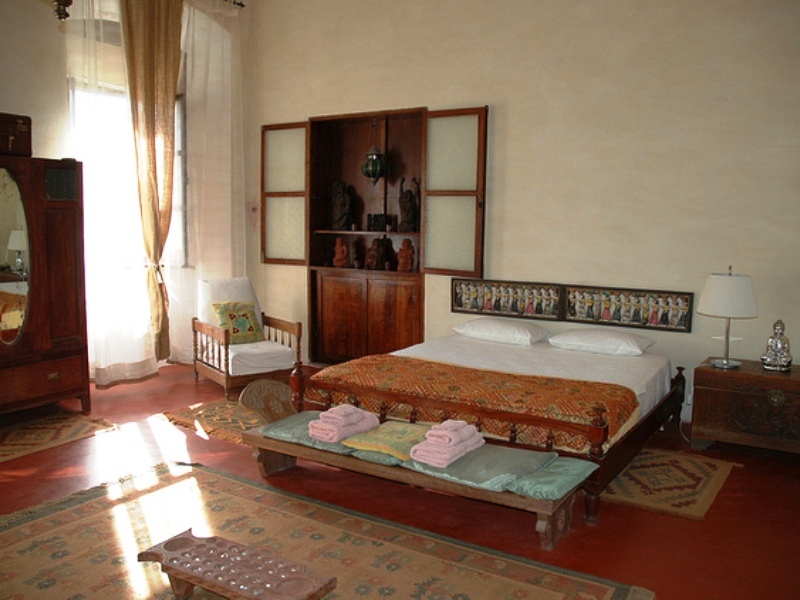 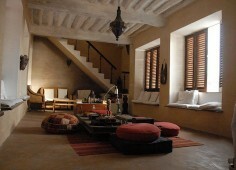 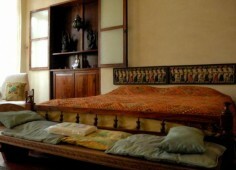 The rich architecture and interior decorations are an eclectic mix of Asian and European influences. The Guesthouse overlooks the beach, with a small garden in front. 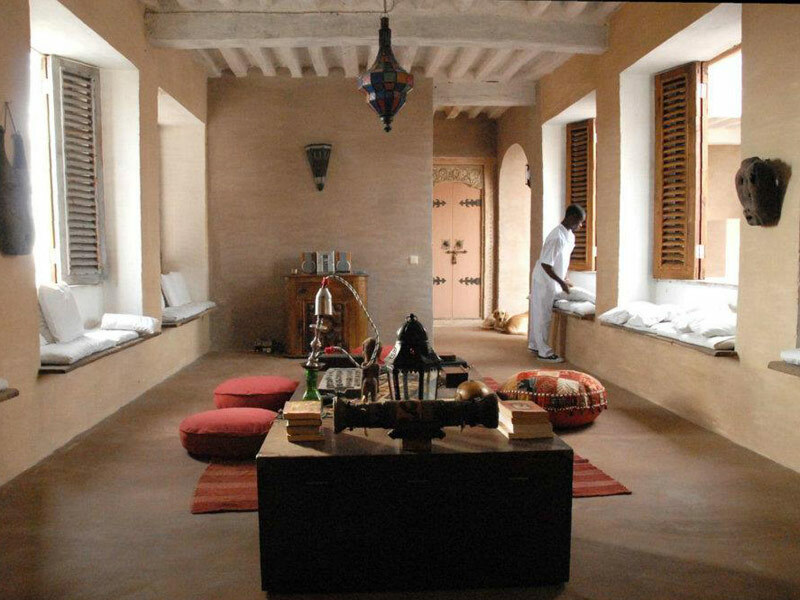 There are various tranquil settings throughout where you can relax – such as the reading room, balconies and an inner private courtyard. 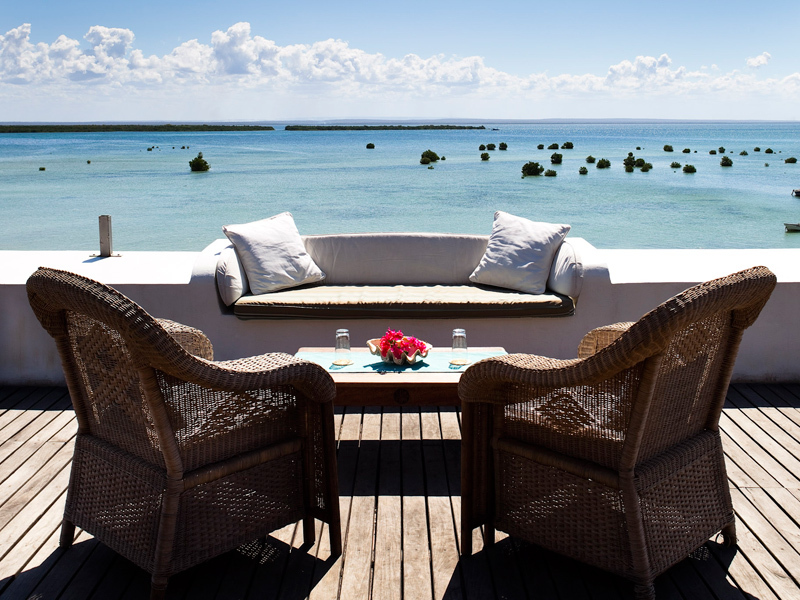 The terrace is an excellent vantage point from which to observe the island or mesmerizing sunsets. 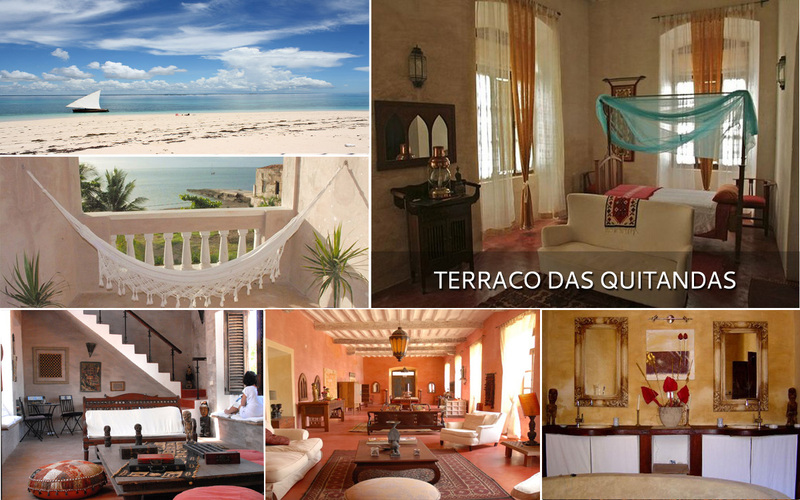 Terraco das Quitandas features six spacious suites that offer modern comforts such as en suite facilities and air conditioning. Accommodation rates include a continental style Breakfast featuring a variety of fresh fruits, breads, cakes and cereals. 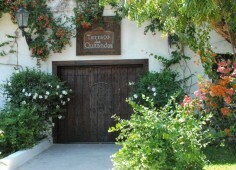 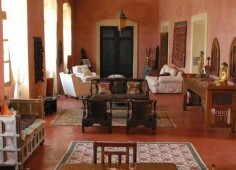 The friendly staff at Terraco das Quitandas will gladly assist with arranging a guided tour of the historical island. 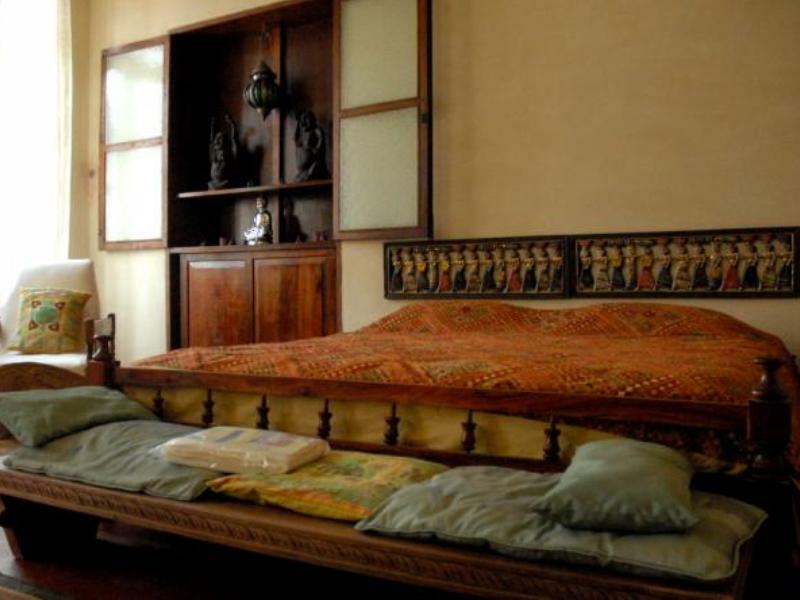 Highlights include a visit to the Meseu de Arte Sacra, Hindu Temple and Fortress of San Sebastiao with an accredited guide. 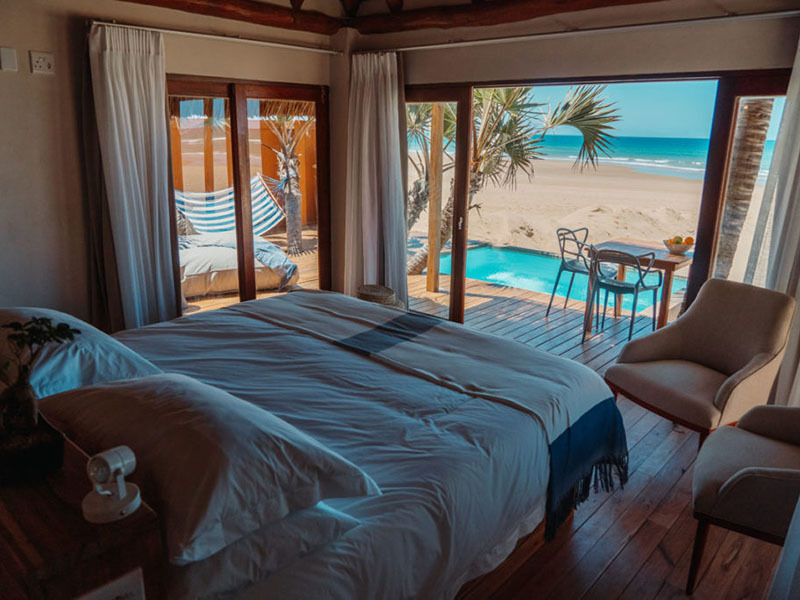 An additional treat is booking a relaxing massage either in the privacy of your suite or on the top terrace to enjoy the secular makua wisdom of harmonizing the body with the mind. 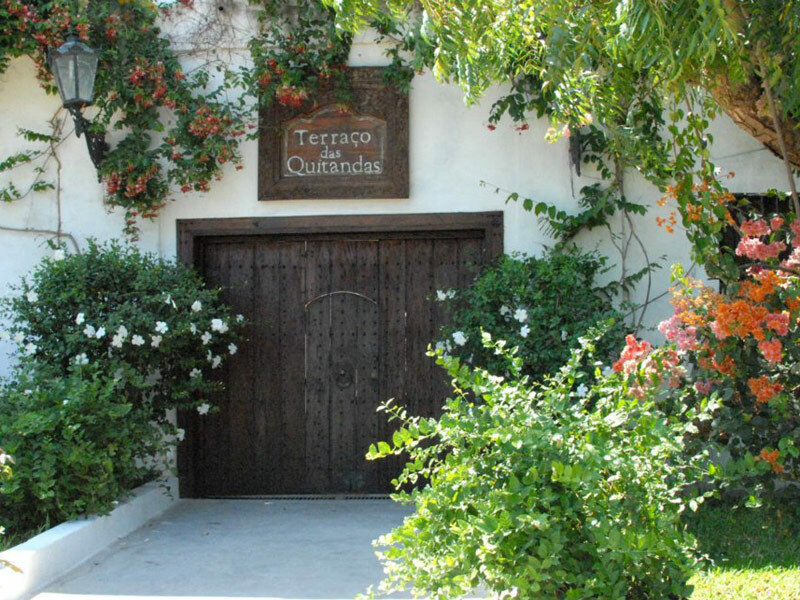 Terraço das Quitandas is a guest house, where the architecture and decoration are translated into a mix of details that link the East to Europe. 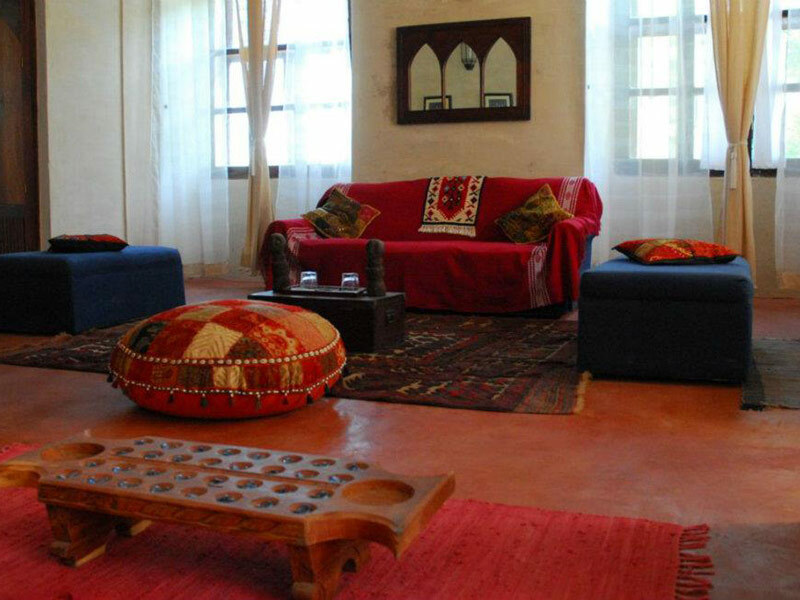 Welcome the simplicity and traditions and experience a unique experience of living with a remote but still present past.